When it comes to the doctrine of the Trinity, evangelicals have underachieved. In The Holy Trinity, Robert Letham helps to redress this shortcoming. He offers a well-researched volume about “the One who is utterly transcendent and incomprehensible.” After examining the doctrine’s biblical foundations, the author traces its historical development through the twentieth century, and engages four critical issues: the Trinity and (1) the incarnation, (2) worship and prayer, (3) creation and missions, and (4) persons. 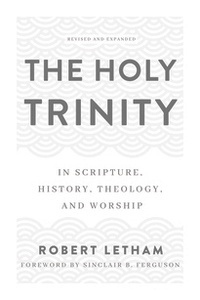 The Holy Trinity by Robert Letham captured an ECPA Gold Medallion Award in the Theology/Doctrine category.